Beyoncé’s new film Homecoming has landed on Netflix. The film documents her headlining 2018 Coachella performance and features candid footage and interviews from the lead-up. Watch it on Netflix. Homecoming premiered at Washington D.C.’s Howard University and Houston’s Texas Southern University last night. 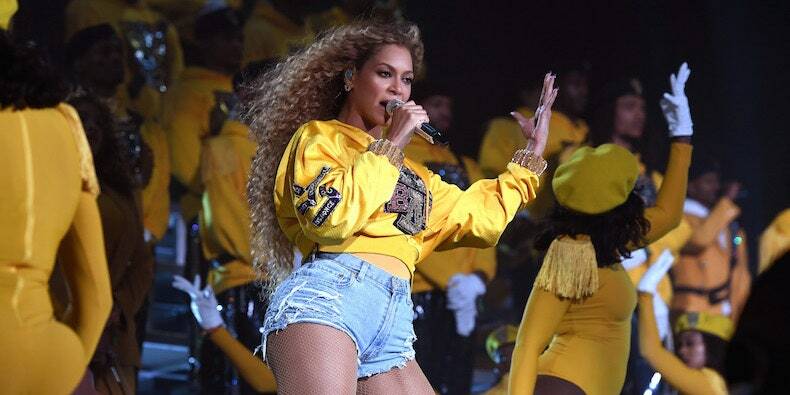 Beyoncé’s Coachella set marked the first time a black woman has headlined the festival since it launched in 1999. It also featured appearances from Solange, JAY-Z, and a Destiny Child reunion performance.